After a well-received broadcast on PBS this past October, new musical The Bloody Irish will land on the Great White Way. Directed by Michael Barker-Caven and penned by Barry Devlin, the drama is set to play a limited engagement at the Neil Simon Theatre this April, before heading on a national tour, the Sunday Times reports. Told from the British point of view, The Bloody Irish follows the 1916 “Easter Rising,” when Irish republicans mounted an armed insurrection to end British rule in Ireland while the U.K. was busy battling World War I. General Sir John Grenfell Maxwell—the man who signed the death warrants of the 1916 leaders—narrates the retelling of the events of Easter Week. Starting out with a belief that the rising is a foul act of treachery, Maxwell has a change of heart, asking in the end whether he has made a grievous mistake in sending Pearse, Connolly and the rest to their death. The production features music by David Downes, with re-arrangements of well-known songs from the era such as "It's a Long Way to Tipperary." 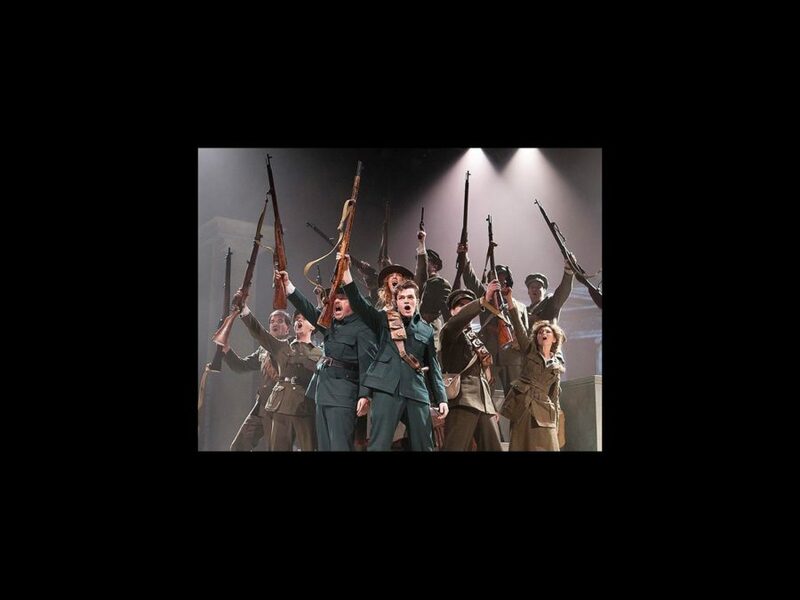 The cast will reprise their roles on Broadway, led by Lorcan Cranitch as James Connolly and Gavin O'Connor as Patrick Pearse.